Much love and gratitude towards anyone who have shown me support on this journey. Do you ever feel as though you will never meet the right man? Are your relationships leaving you wondering what you’re doing wrong? Do you attract the same type of man, repeating the same negative patterns over and over again? If you find yourself thinking “Here we go again” or “I’ve been here before”, if you’re dating men who love you and leave you emotionally wounded and insecure, or if you’re wondering why you just can’t seem to get it right, I have news for you. You are simply dating the wrong men. 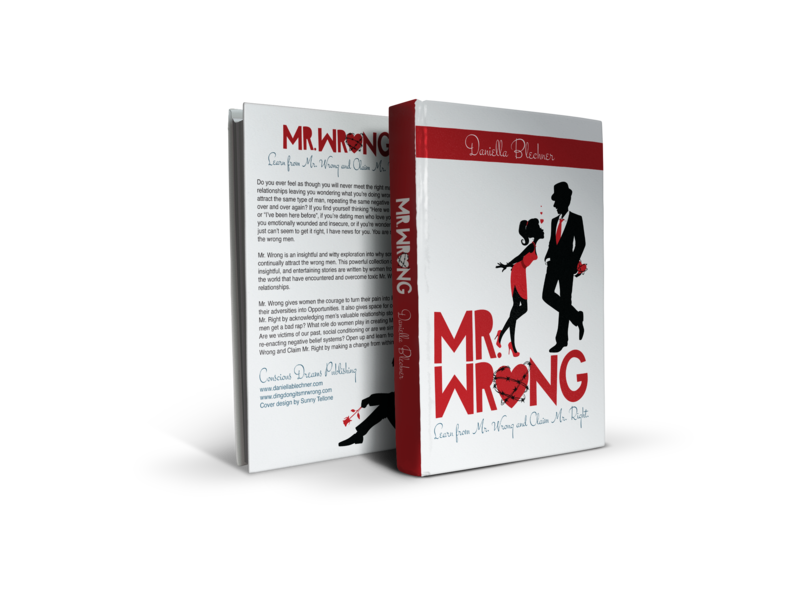 Mr. Wrong is an insightful and witty exploration into why some women continually attract the wrong men. This powerful collection of humorous, insightful, and entertaining stories are written by women from across the world that have encountered and overcome toxic Mr. Wrong relationships. Mr. Wrong gives women the courage to turn their pain into Power and their adversities into Opportunities. It also gives space for celebrating Mr. Right by acknowledging men’s valuable relationship stories too. Do men get a bad rap? What role do women play in creating Mr. Wrong? Are we victims of our past, social conditioning or are we simply re-enacting negative belief systems? Open up and learn from Mr. Wrong and Claim Mr. Right by making a change from within.